Rocker Dee Snider weighs in on the future of his legendary heavy metal band Twister Sister, as their 40th anniversary tour comes to a close in 2016. Larry King: Forty-year anniversary of Twisted Sister. Larry King: Why? What was special about them? What made them a hit? Dee Snider: Believing in- my message. Believe in yourself, stand up for yourself, fight back, we’re not gonna take it. I wanna rock. 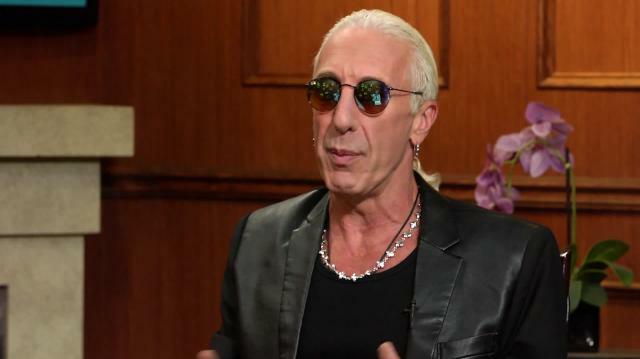 Dee Snider: You can’t stop rock and roll. Larry King: -you’re saying ‘F you’ to the establishment? Larry King: Where did you grow up? Larry King: What is Dee short for? Larry King: Man. I like Dee. Dee Snider: Thanks. So do I.
Larry King: I like Daniel too. Are Twisted Sisters on a last tour? Is this it? Dee Snider: Yeah, for sure.